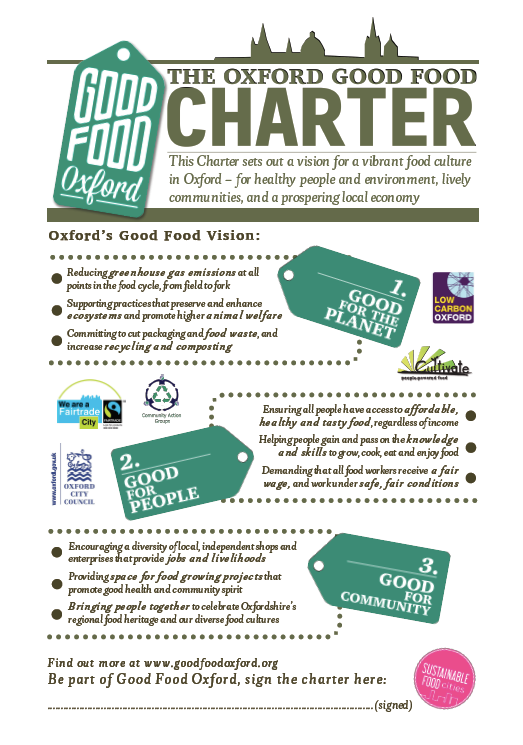 Following on from the public launch at the Kassam Stadium in November; 665 people from Oxfordshire responded to the public consultation, 421 online and 244 via a postcard. 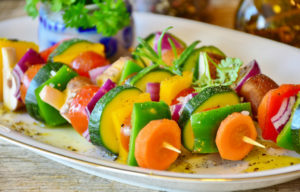 Of the 665 people who took part, 41% said they thought they had more than the recommended maximum amount of sugar per day, and a further 17% were not sure. A massive 92% thought young people had more than the recommended maximum amount of sugar per day. 66% were very concerned about the amount of sugar in our food and drinks and 30% were a bit concerned. Only 4% of people surveyed were not at all concerned. In the online survey, 92% were worried about at least one health effect of sugar on themselves, with the most people (77%) concerned about its effect on their weight. Of the people concerned about child health issues, the issue of most concern was sugar’s effect on their children’s teeth (89%). 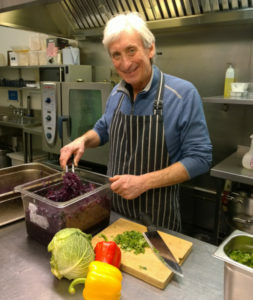 Only 1% of people who responded thought no action was needed at all in Oxford’s workplaces, cafés, canteens, leisure centres, schools and colleges. 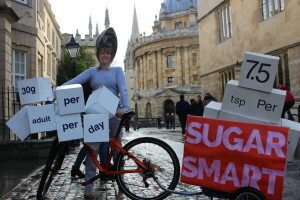 In response to this public demand for action, Oxford’s businesses are now being invited to take action to make it easier for people to reduce their sugar consumption. If they sign up to three or more commitments, their business will be awarded a SUAGR SMART golden teaspoon. Schools and colleges are also being invited to take part; by running assemblies, debates and individual challenges to cut out sugary drinks for a week. 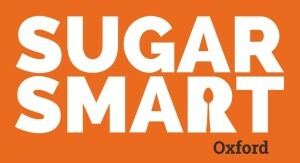 Free resources for organisations, businesses and schools are available from the national SUGAR SMART dashboard www.sugarsmartuk.org where individuals can also sign up to support the campaign, for example by encouraging their workplace, local café or school to get involved. Many of us are consuming too much sugar, and this is increasing levels of tooth decay, obesity and Type 2 diabetes. 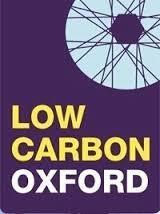 In Oxford, a third of children have tooth decay (worse than the national average). A third of Year 6 children are overweight. And half of adults are overweight. We need to make it easier for people to choose healthy options, starting with sugar! 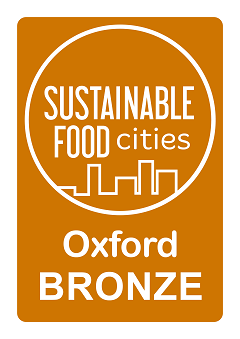 Along with Oxford City Council and other local partners, we’ve teamed up with the Jamie Oliver Food Foundation, Sustain and Sustainable Food Cities and are working across the city to look at what we can all do at home, in schools, in work and in shops, restaurants, cafés, vending machines and takeaways. We are mainly focusing on soft drinks as these may contain 2 – 3 times of a person’s recommended maximum daily intake of sugar in just one bottle. 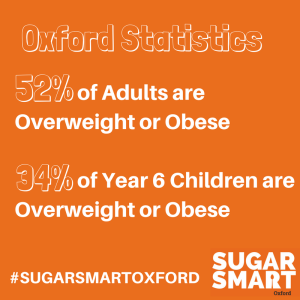 Find out more on the Sugar Smart Oxford website.